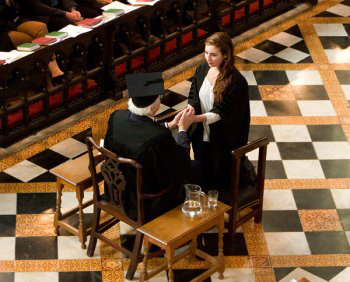 As a world-class academic institution St John’s College is committed to offer its members an environment which allows them to achieve the highest academic standards. We take pride in academic excellence and we are committed to reward outstanding academic achievements through Scholarships and Prizes as well as various academic Prize competitions throughout the year. Every student who achieves a first class in an honours undergraduate examination or who has reached distinguished performance in an MPhil examination is elected to a Scholarship and is awarded a Prize ranging from £400 to £600. In addition Named Year Prizes are being awarded to candidates who, being of special merit, are the best candidates in the College in each year, irrespective of subject areas. Prizes are also awarded for the best performance in certain papers of, or in a dissertation for, various examinations. The name of the Scholarship is usually the name of the Benefactor who has given money to the College for this purpose and he/she may have determined the subject that the Scholar shall be studying to receive their named Scholarship. The Tenure of the Scholarship is one year for undergraduates and you will be re-elected to the Scholarship and awarded a Prize if you achieve a first class again in the following year. Scholarships have played a central role in the history and the traditions of the College. As a Scholar you are part of the Foundation of the College. Statute 1 of the Statutes for the College of Saint John the Evangelist states that the Foundation of the College shall consist of the Master, the Fellows, and the Scholars. Being a Scholar means being part of the Foundation of almost 500 years of excellence and tradition. The College aims at developing each single student’s ability to realise his or her full potential and we hope you will be inspired to take active part in our tradition of academic excellence in St John’s College.